At Secrets Resorts & Spas, there is always reason for a celebration. You can celebrate your wedding or honeymoon, celebrate your anniversary or even just celebrate some much needed time off! But what happens when it’s time to celebrate the New Year? At Secrets The Vine Cancun, it calls for quite the party! 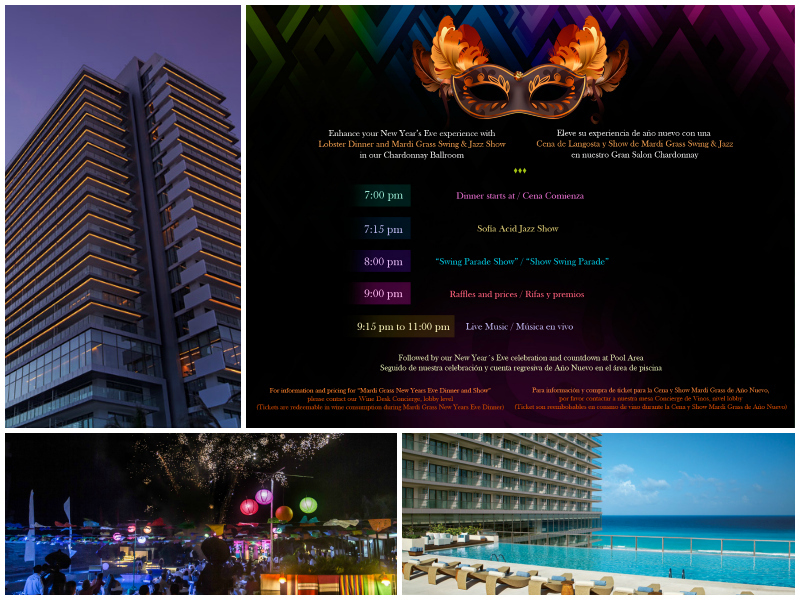 Celebrate the end of 2014 and the start of 2015 with a Lobster Dinner & Mardi Gras Swing & Jazz Show! Join us for a delicious lobster dinner while you enjoy the sights and sounds of two Jazz shows, plus raffles and prizes! Then dance the night away until we gather around the pool to countdown to the New Year under the stars! All while enjoying the delicious wine selection Secrets The Vine is famous for! Additional costs apply. There is still time to be a part of this delicious night! Check out our special offers and start packing! This entry was posted in Secrets Resorts & Spas, Secrets The Vine Cancun and tagged New Years Eve, Secrets Resorts & Spas, secrets the vine cancun. Bookmark the permalink. ← Enter Our #SecretsSociety Instagram Contest!